I did not put any shredded coconut in these muffins, because not everyone likes the texture of it. The coconut oil doesn't have a very strong coconut flavor, so I used imitation coconut extract for extra flavor. 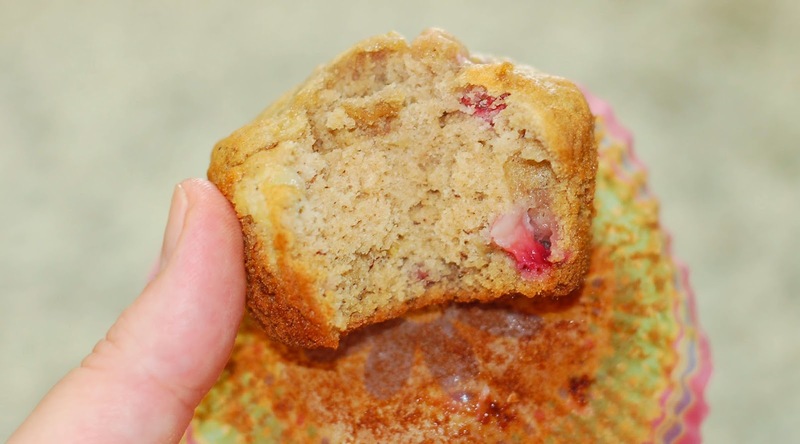 These muffins are so easy and fast to make. 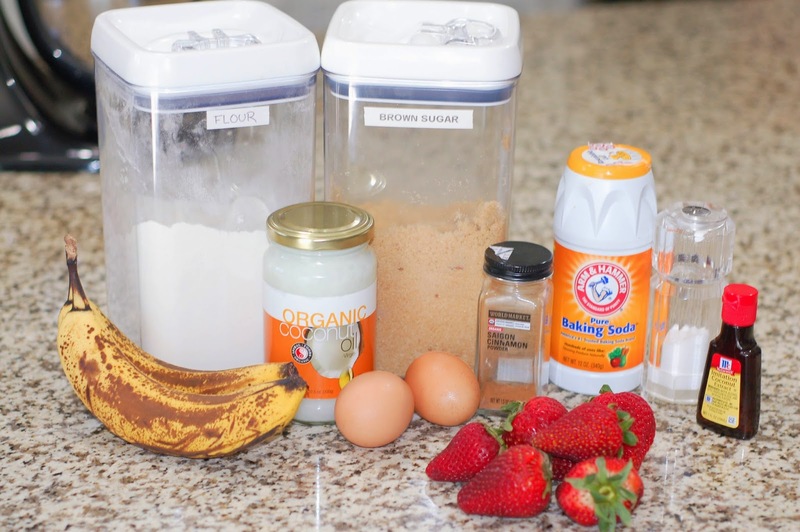 The kids can help you by mashing the bananas and mixing ingredients. That would really be fun to do on Mother's Day. The house smelled like coconut and banana heaven while these were baking. I couldn't wait to eat one. They came out so good. 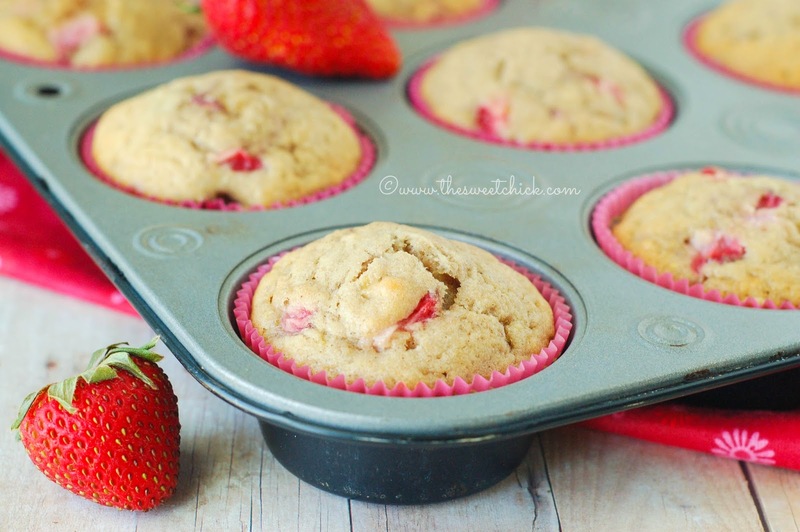 The texture of these Strawberry Coconut Banana Muffins was light and fluffy. You can taste all the individual flavors, not one overwhelmed the other. They were just the right amount of sweet. And the coconut oil makes them healthier. 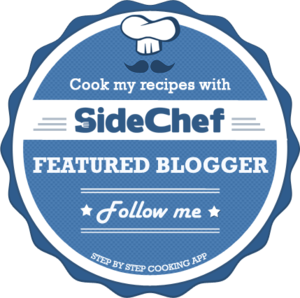 Next time I am going to try them with whole wheat flour. You can never be too healthy. These are perfect for breakfast, brunch, or just a snack. In a medium bowl, combine flour, cinnamon, nutmeg, baking soda, and salt. 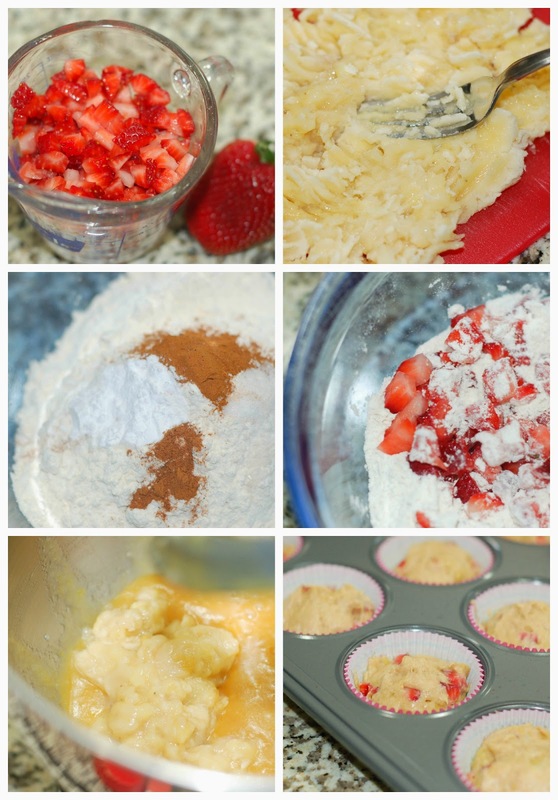 Mix with a spoon until well blended, then add strawberries and gently mix until strawberries are covered with the flour mixture. Next, add the flour/strawberry mixture to banana mixture and mix on low until completely incorporated. Remove from oven and enjoy warm or place on cooling rack and eat later. Either way, enjoy! Strawberries with anything is a winning combo, I bet these were awesome!! Thank you Stephanie, I did! 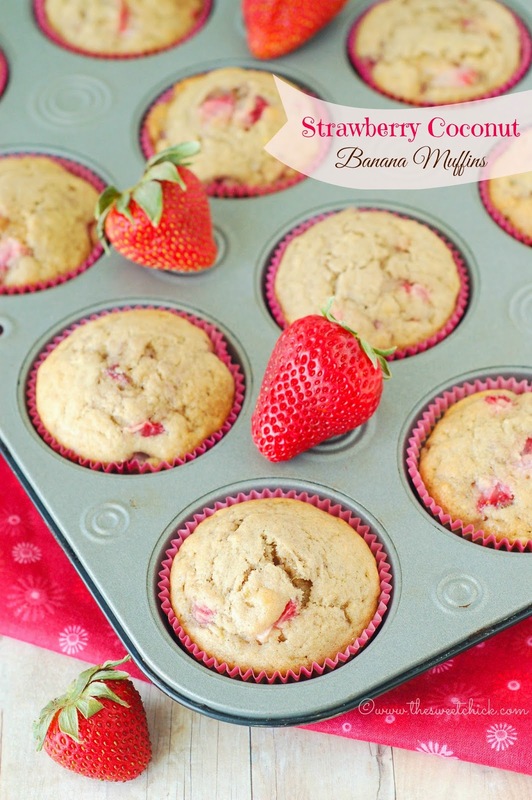 Banana muffins are my favorite.. this recipe looks simple to make, soo gonna try it and surprise the kids with a treat. Thanks for sharing. They really are simple Charmaine. I am sure the kids will love them. Yummm.. banana muffins are my favorite.. this recipe looks simple to make, soo gonna try it and surprise the kids with a treat. Thanks for sharing. Sounds lovely, got to try it. Will probably add a little bit of veggie for some extra nutrition!